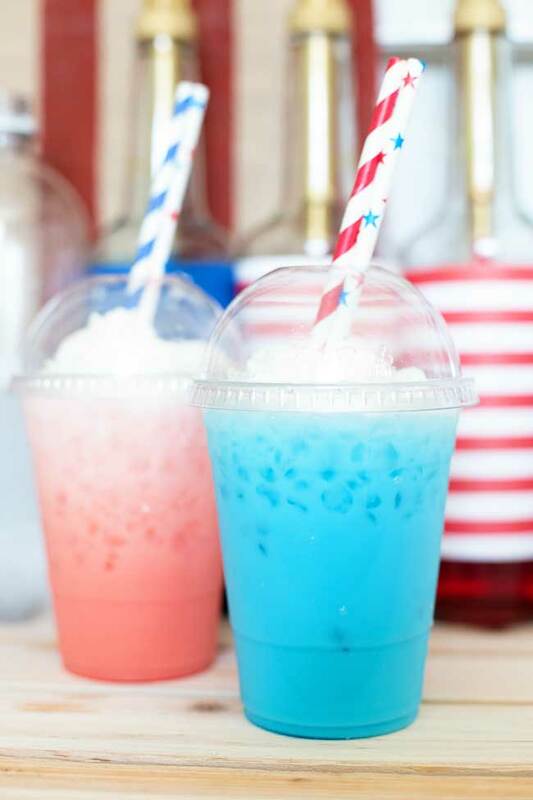 Whip up these fun and festive Patriotic Italian Sodas with International Delight Sweet Cream for the 4th of July or anytime you want a refreshing summer treat! Hi friends! 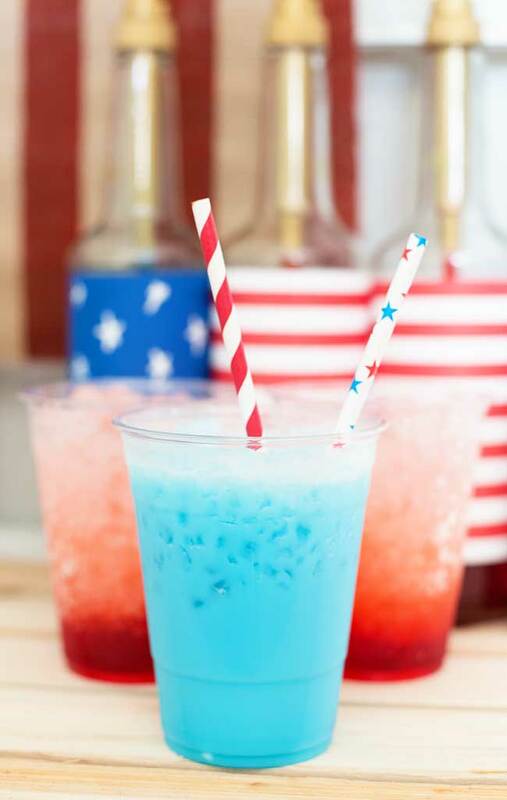 Can you believe that we’re already here – it’s almost the 4th of July!! Just too crazy. 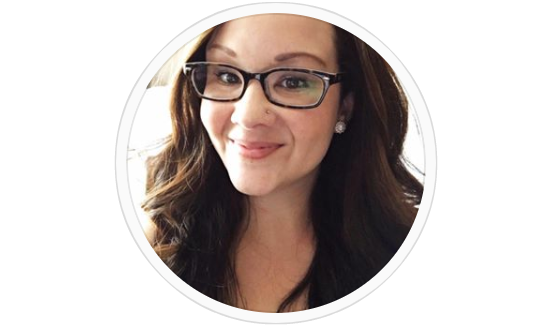 Especially with a little one at home and taking up more of my time (and sleep, and sanity) these days, our celebrations aren’t quite what they used to be. But no matter the holiday, I still LOVE to do something a little special, especially for my boys! 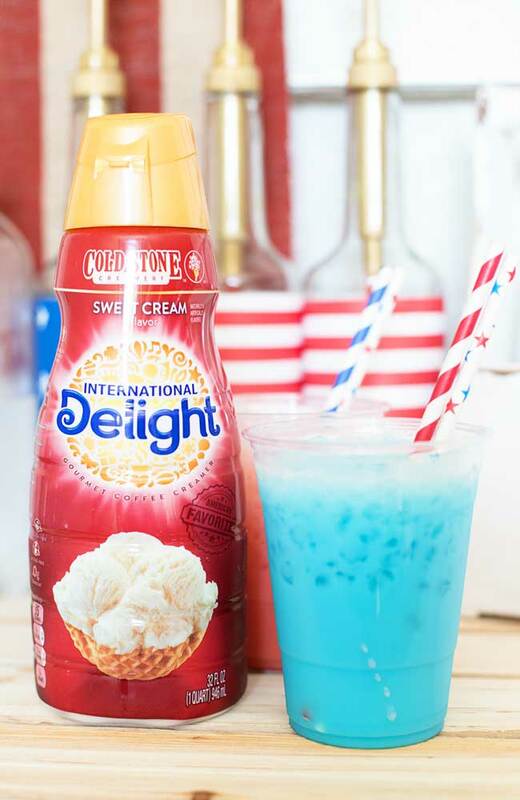 And this year on the 4th we’re going to enjoy these fun, festive and delicious Patriotic Italian Sodas with International Delight Sweet Cream creamer! 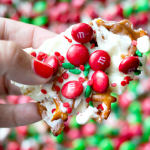 In so many treats, International Delight Sweet Cream Creamer is my secret ingredient! 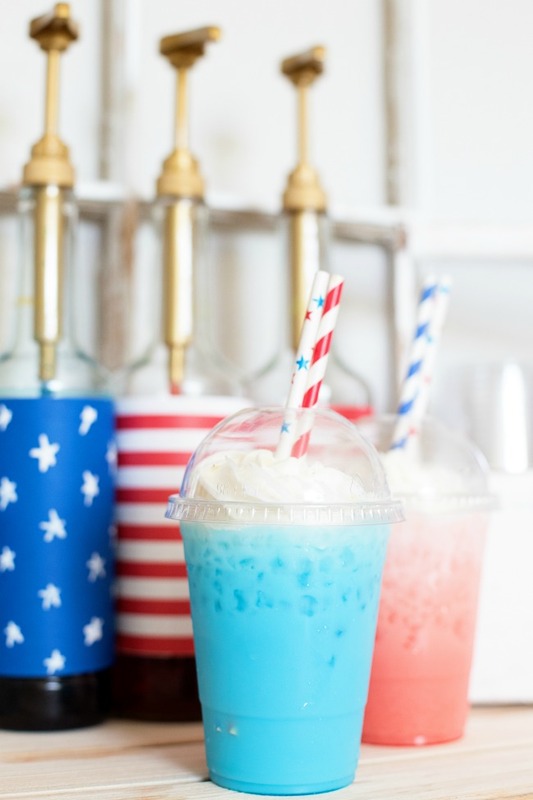 It adds just a little more flair to baking and drinks than regular cream and in these Patriotic Italian Sodas it’s no exception! To whip these babies up is simple. 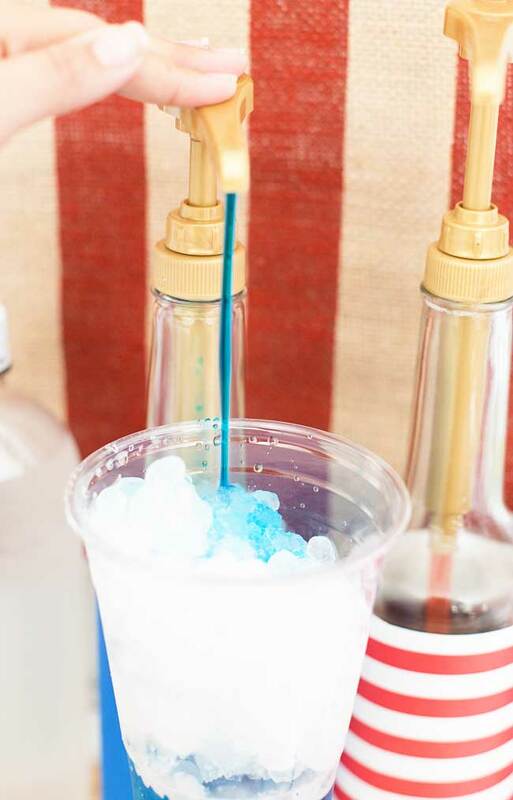 Start with a few pumps of flavored syrup over a cup full of ice (pebble ice is the best!). 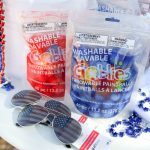 To make them patriotic, we used Blue Raspberry and a couple of different red flavors – Cherry and Strawberry. I wrapped the bottles in some fun scrapbook paper to make the whole set up a little more festive and it only took me a couple of minutes! 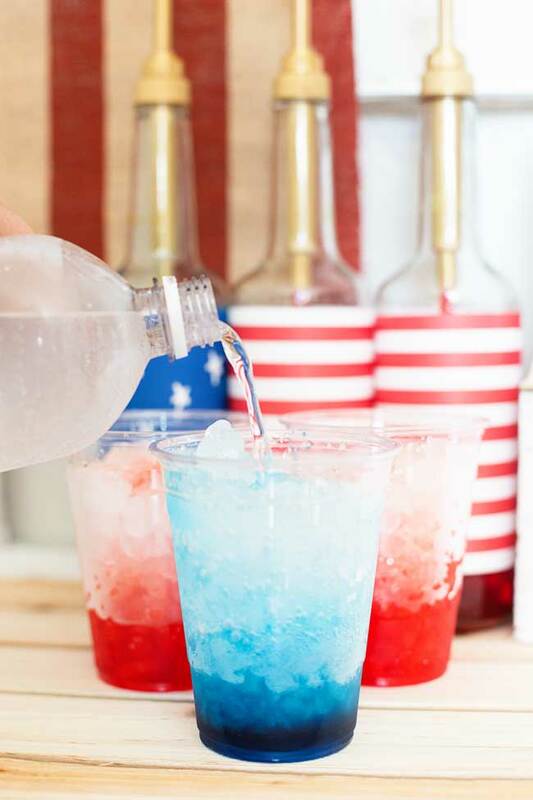 Once you’ve added your flavored syrup, top it off with chilled seltzer or soda water. Now for the key ingredient: International Delight Sweet Cream Creamer! Then stir it all up with a straw and enjoy! 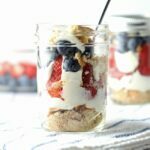 If you want to make them extra fancy, top them with some whipped cream and a dome top – it’s like you’re at a coffee shop! And you can do ALL THIS in just a few minutes. 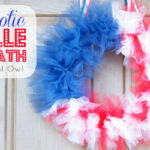 The perfect fun and festive treat for the 4th of July or for any celebration this summer! 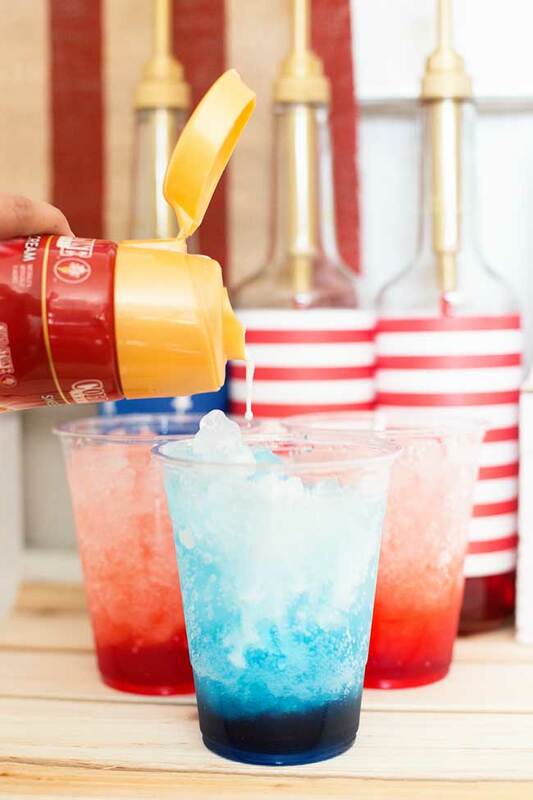 If you’re ready to dive in and make these fun and festive Patriotic Italian Sodas, head down to the store and pick up your International Delight creamer and some flavored syrups and you are well on your way to sweet and simple goodness. This is such a great idea. They look so yummy (+ so pretty! ).